I was holding my breath all the while watching the new trailer of Parkland. It is not only because of the heart-stopping music, but because it recounts the assassination of U.S. President John F. Kennedy. Add a very sacred and anxious-looking Zac Efron as a doctor and I am all for the suspense. 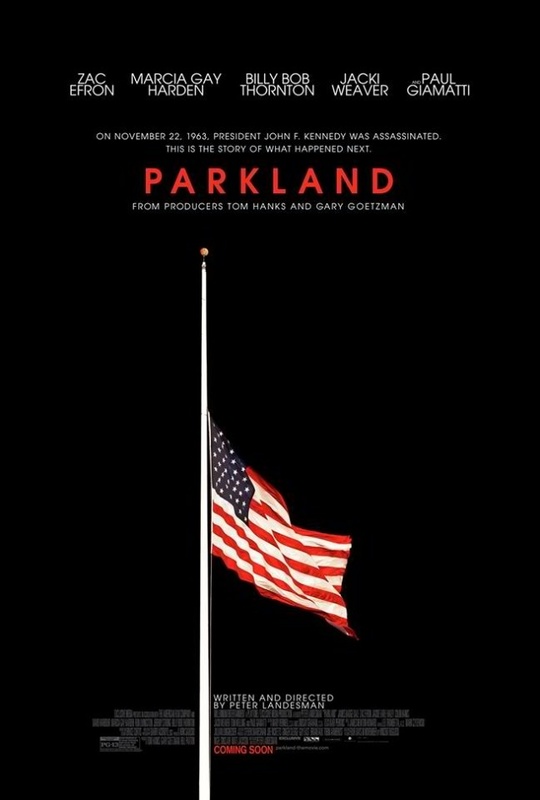 Parkland is a movie adaptation based on the book Four Days In November by Vincent Bugliosi is directed by Peter Landesman. The movie boasts some great talents that includes James Badge Dale, Zac Efron, Academy Award® nominee Jackie Earle Haley, Colin Hanks, David Harbour, Academy Award winner Marcia Gay Harden, Golden Globe nominee Ron Livingston, Jeremy Strong, Academy Award winner Billy Bob Thornton, Academy Award nominee Jacki Weaver, and Academy Award nominee Paul Giamatti. Watch the new trailer of Parkland, starring Zac Efron as a doctor. Parkland recounts the dramatic true story of the chaotic events that occurred at Parkland Hospital in Dallas on the day President John F. Kennedy was assassinated on November 22, 1963. It weaves together the perspectives of a handful of ordinary individuals suddenly thrust into extraordinary circumstances: the young doctors and nurses at Parkland Hospital; Dallas’ chief of the Secret Service; an unwitting cameraman who captured what became the most watched and examined film in history; the FBI agents who nearly had the gunman within their grasp; the brother of Lee Harvey Oswald, left to deal with his shattered family; and JFK’s security team, witnesses to both the president’s death and Vice President Lyndon Johnson’s rise to power over a nation whose innocence was forever altered. Parkland will be released in theaters in September 2013.